This post is sponsored by iHerb, however all opinions expressed are 100% my own. What a wonderful feeling to have a piece of sweet paradise on your plate! 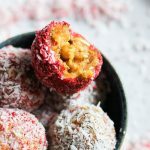 This healthy, energizing vegan mango strawberry energy balls are full of vitamins and kids favorite. Great as a gift too! You all know I am originally from Russia and visit it every year. Most of my friends are very health conscious people and love to try new trendy healthy products. 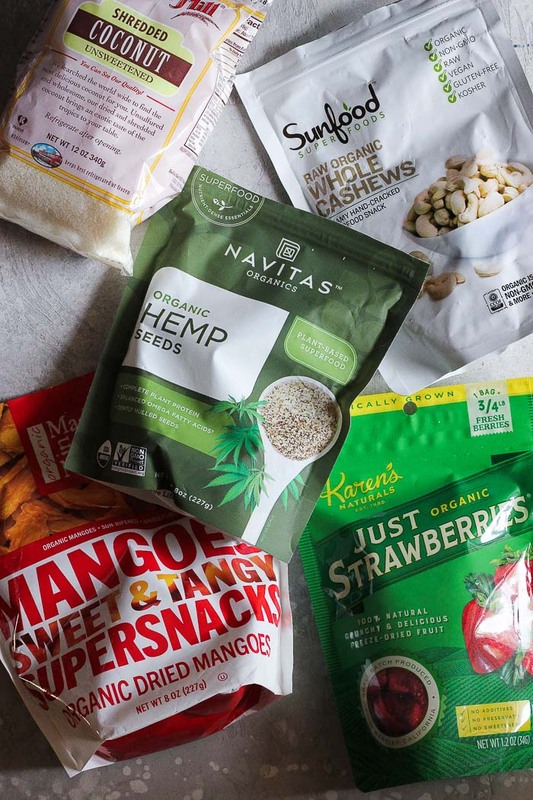 Healthy lifestyle in Russia right now dictates millennials habits and food choices, that is why iHerb is extremely popular in my native country. It carries over 5,000 grocery products that can be shipped to over 160 countries (and Customer Service support in 10 languages! )- amazing! As a US customer i was pleased to receive all the products in a very short period of time and highest quality. Ready to make my Tropical mango and pineapple energy balls! How to make perfect mango vegan energy balls. Quality ingredients is the key! If you use good quality ingredients i can promise you that your energy balls will taste amazing. Dried Mango. Make sure to purchase unsulfured and unsweetened mango chunks. Mangos are sweet enough so there is no need to add extra sugar. Sulfur dioxide is a preservative used in dried fruit to prevent it from spoiling, loosing its pretty color and to keep fruits looking appetizing for consumers. Nuts. 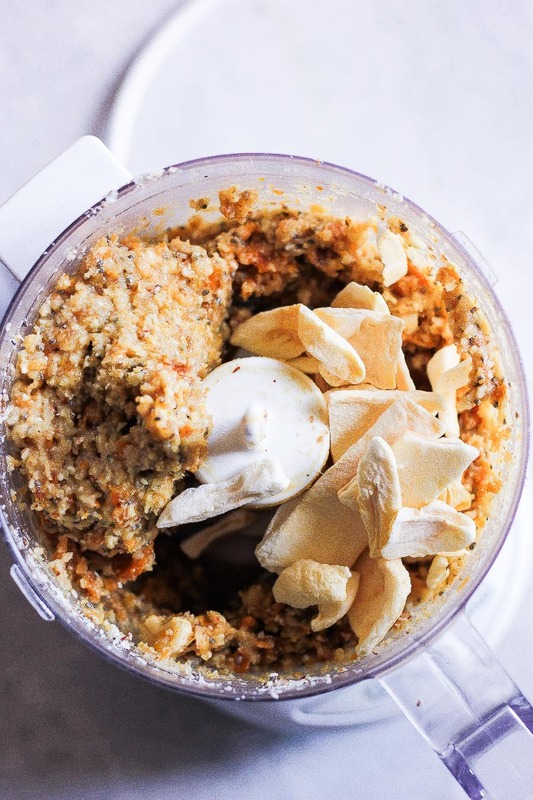 In this recipe i used raw organic creamy cashews and raw almonds. You can try to use walnuts too, i am sure it will be delicious! 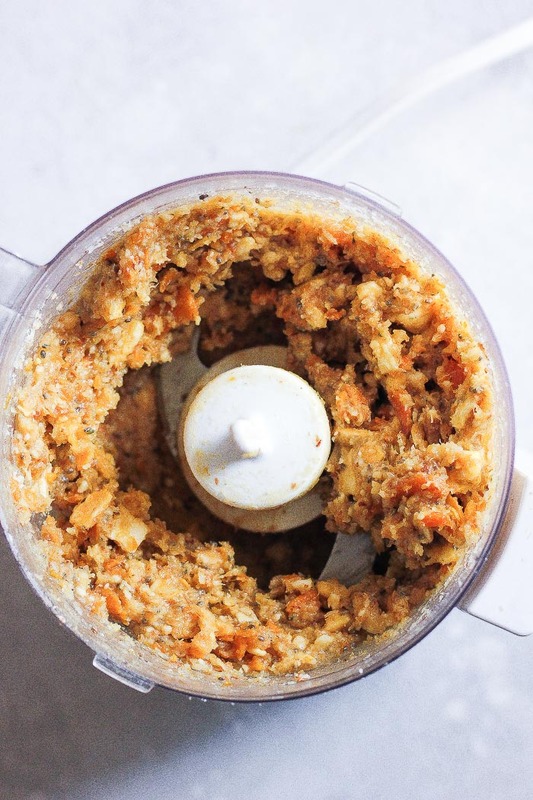 You will need to blend everything in a high speed blender or in a food processor. The “dough” will be very sticky and it may be hard to blend it. Dont forget to push the mixture down every once in a while. 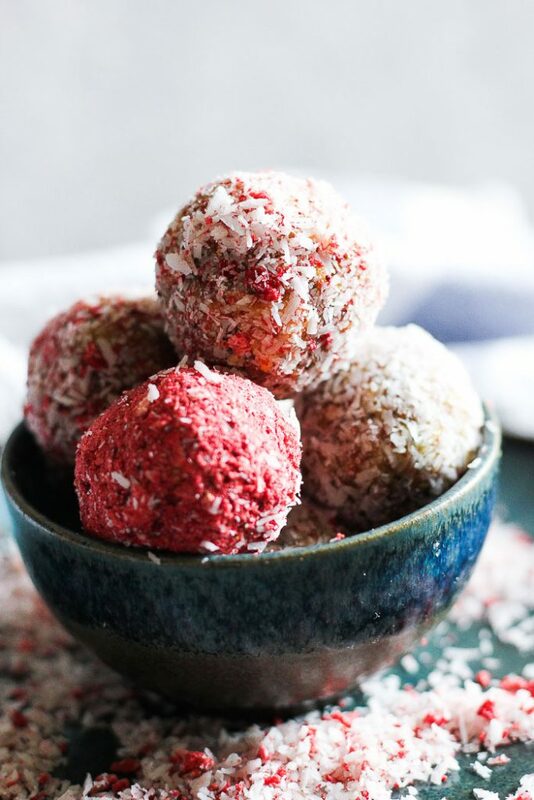 I like to roll energy balls in shredded coconut and blended freeze dried strawberries. You can also use chia seeds or cocoa powder- or more! My kids favorite snack- they could not wait until i finish the photo shoot! The best time of the day to enjoy this energy balls is if course breakfast. Great for snacking in the car too and for the kids lunch box. It helps a lot when your can purchase all your favorite healthy products in one online store at a good price. If you want a discount on your iHerb order, or you are a new customer you can get an additional 5$ off your 40$ order by clicking here. Great deal guys! 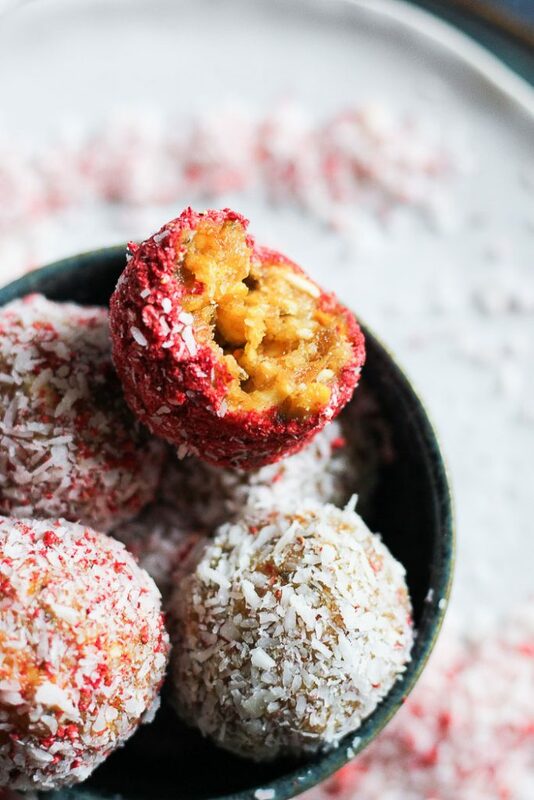 Try this mango strawberry energy balls an any time of the year! Sweet, energizing and very addictive ! If you decided to make them A part of your holidays gift , best put it in a jar, place a hand written note on it and let you friends enjoy! What a wonderful feeling to have a piece of tropical paradise on your plate! Healthy, energizing, full of vitamins and kids favorite too! Add all the ingredients (except strawberries) to your food processor or high speed blender. Blend until smooth or little chunky. Add 1 teaspoon of water at a time to help blending. Don't add too much, just enough to help the blending going. 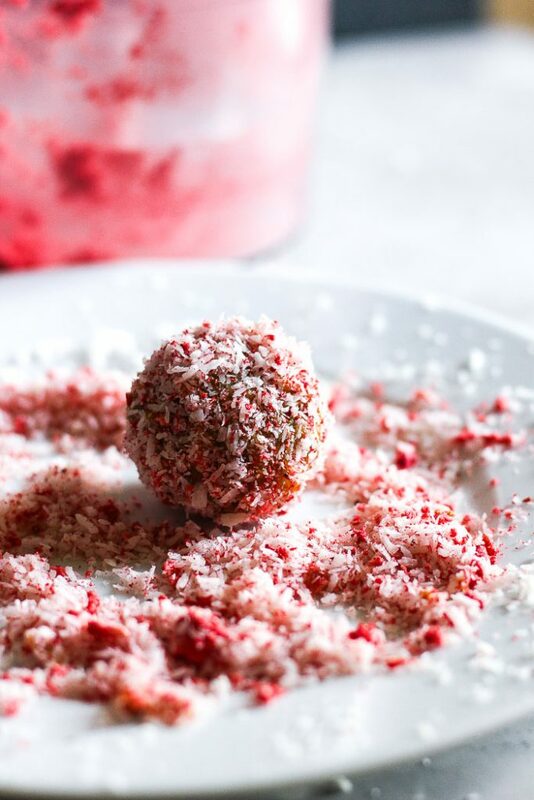 Separately grind freeze dried strawberries in to a powder and mix with some shredded coconut. 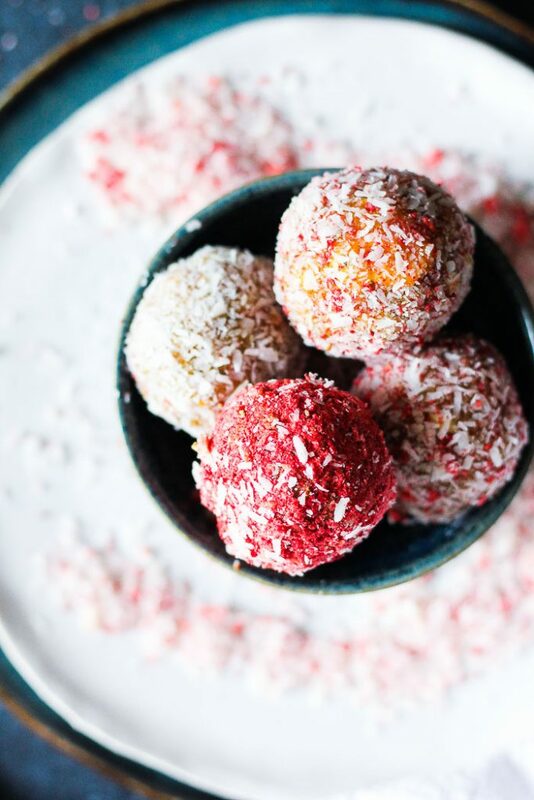 Roll little balls out of dried fruit and nut "dough" and roll in the coconut-strawberries mixture. Enjoy! I love how bright and colorful these are! Homemade energy balls are so good, can’t wait to try these out! So many wonderful, healthy ingredients in the recipe! I love finding a fun new energy ball that’s a different flavor like this – so many are variations on chocolate and peanut butter. Love this!! These energy balls are so cute. I just love the colors and your flavors. You’re right… These would be perfect at breakfast! Or in a school lunch! Those colors are gorg! I saw the title of this recipe and couldn’t wait to see how you make these! 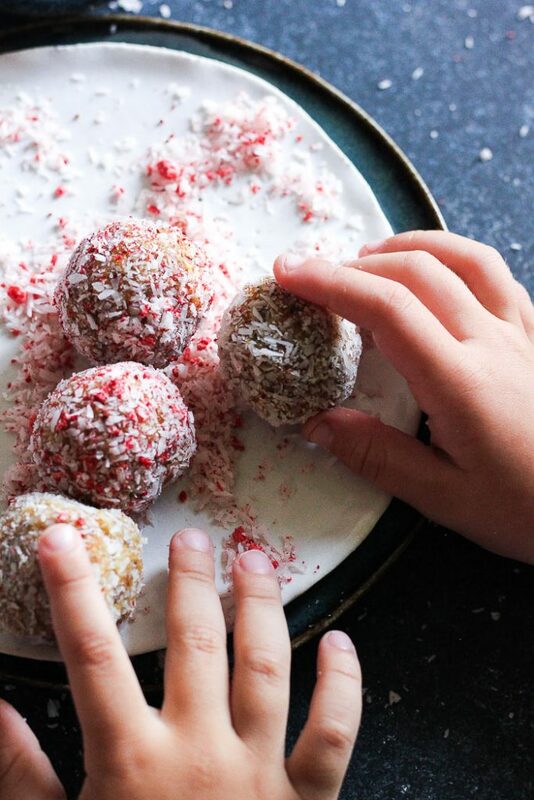 This looks like such a fun recipe to make with kids. I know my kids will love the color! that’s gorgeous and delicious ! So cute ! These are GORGEOUS!!!! I need to get these ingredients because I am dying to try these. I LOVE how these look!! That filling and the coating, separate colors — so wow and impressive. Can’t wait to make!! Not only do these sound delicious, they are so colorful and gorgeous! These are so fun and pretty too! I’ve never seen their brand of pineapple, I’m going to have to look for it or order it online. Yum! These are so pretty. Love the texture and color! Oh gosh this is a super fun energy bite! My girls will flip out! Thank you! Perfect for my lunchbox list of ideas! These look so great! I love little balls of anything yummy! 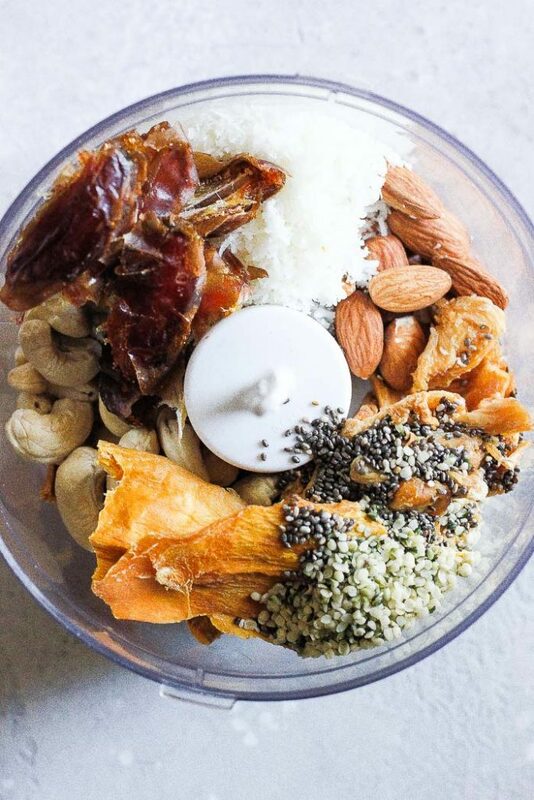 We love making our own energy balls, but this isn’t a combo we have tried before. The colour is amazing. These would be perfect for hiking! A great snack to having in the outdoor snack box! You got me at mango! Love that fruit so much and making it is a form of an energy ball is very creative. I need to make this recipe soon my husband loves this little snacks. These look so amazing! 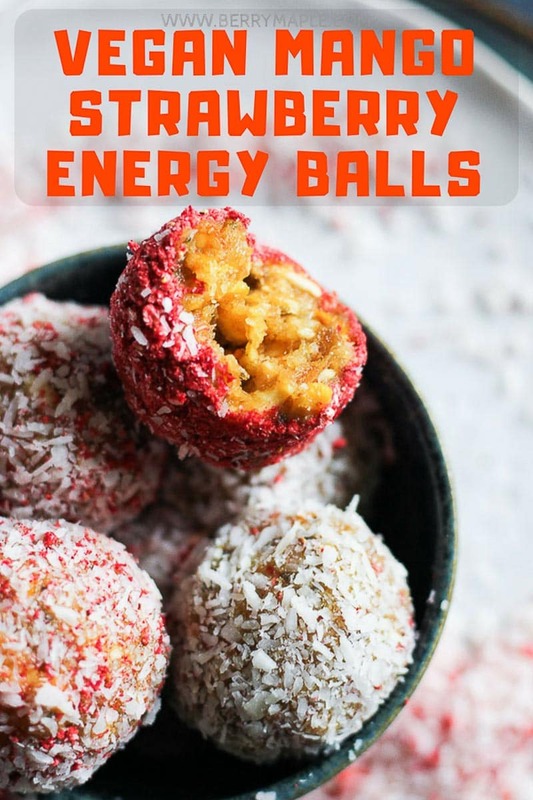 I love energy balls so this is a must make recipe! They’re so perfect for post workout snacking! Mango, Strawberry and Pineapple sounds like a great combination! 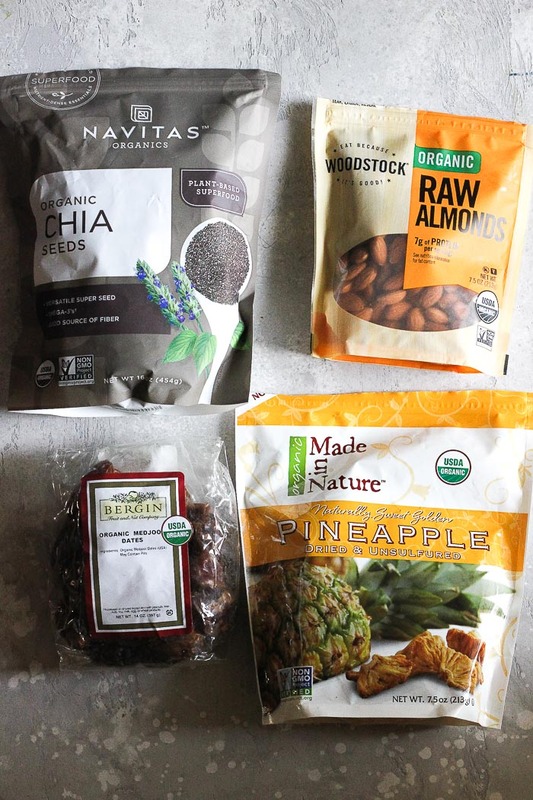 I love healthy unrefined snacks like these, perfect for kids!